Honokaa Western Week starts on May 20. The Big Island of Hawaii is open for business and the Honokaa Western Week festivities have begun. 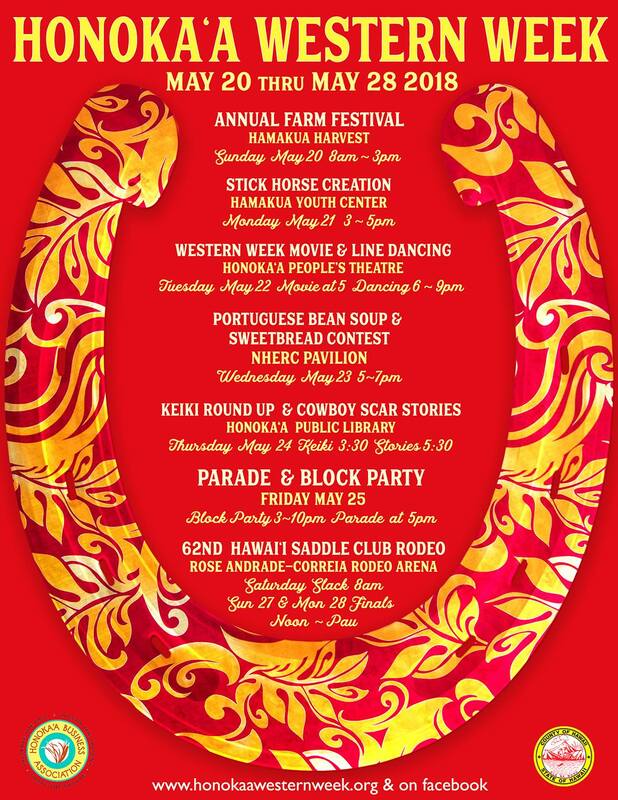 Throughout this week, Honokaa town comes to life with the celebration of its 62-year-old tradition that culminates with its annual parade, block party and 3-day rodeo. Come dressed in your spiffiest cowboy or cowgirl duds and enjoy a week of fun activities in Honokaa town, far, far away from the erupting volcanoes. Everyone loves a parade including cowboys and horses. You can find all of that this coming Friday May 25 in Honokaa town.